This year we are offering a fun little Holiday pack from our online store: The Finger Lakes Pig Pack. 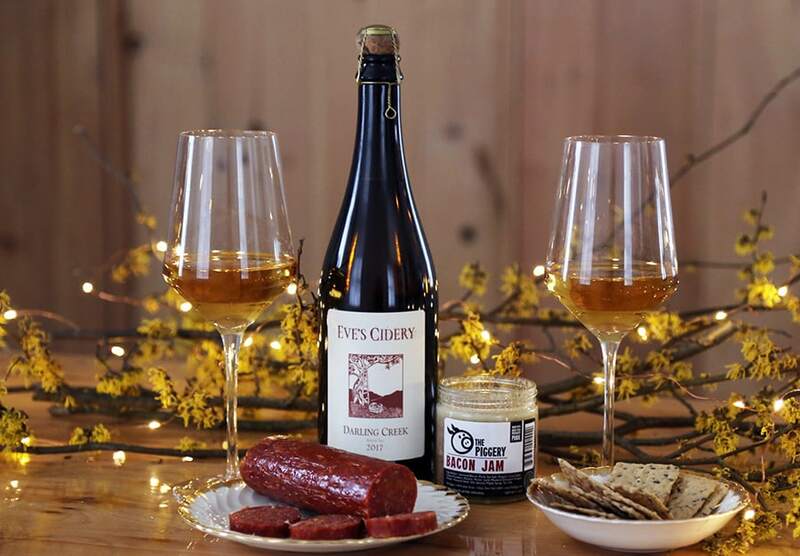 This gift pack features 2 bottles of our complex, alluring bittersweet cider, the 2017 Darling Creek, paired with The Piggery's savory Bacon Jam and log of no-nitrate pepperoni. Brad and Heather exemplify the way farmers in the Finger Lakes have devoted their vision, creativity and work ethic to creating a vibrant foodshed and burgeoning food culture. We've loved trading cider for pork over the years, and this year we wanted to highlight the special way that Finger Lakes Cider and Pork pair together. Give a gift of Finger Lakes Flavor for the holidays!